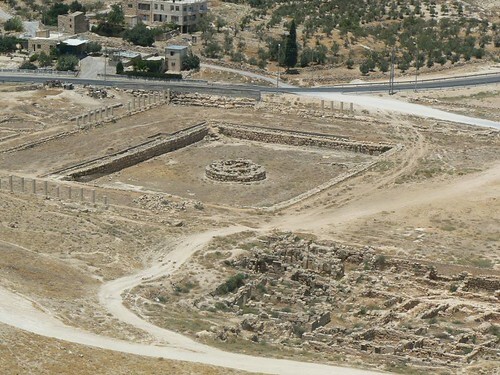 Herodion, one of Herod the Great’s most ambitious building projects, served the judean King (37-4 B.C.) as summer palace, fortress, monument, burial ground and district capital. 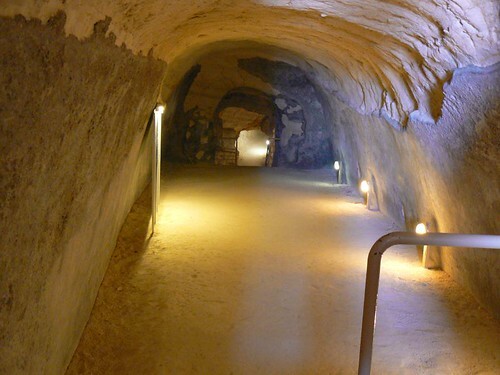 The Herodian complex, fifteen kilometers south of Jerusalem near the ancient roads to the Dead Sea, was built between 23-20 B.C. . 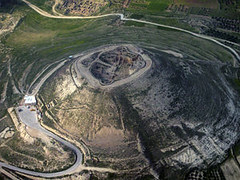 It was divided into two sections: Upper Herodion, which contained the palace set within circular fortress on an artificial cone-shaped mountain; and lower Herodion, at the base of the mountain, which consisted of numerous palace annexes for use by the king’s family and friends, and for the central offices of the district capital. 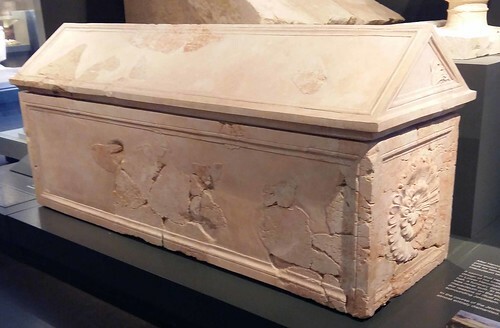 Upon his death, Herod bequeathed Herodion to his son, Archelaus, who ruled from 4 B.C. – 6 A.D. . when Archelaus was banished, Herodion passed into the hands of the Roman procurators, until it was taken from them by Jewish rebels at the outbreak of the great revolt against Rome in 66 A.D.
Large Roman-style garden surrounded by columns, with a large pool at the center of the garden. 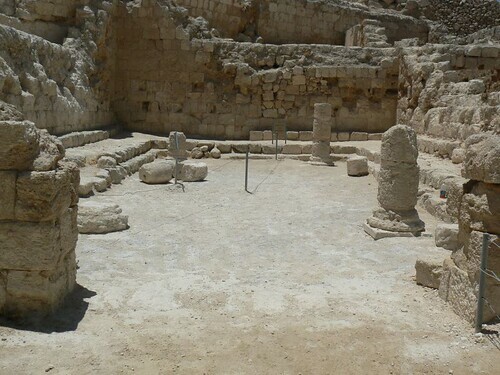 The Zealots, who built a synagogue and ritual baths (Mikve) on the site, held Herodion for four years, until they were defeated by the Romans. 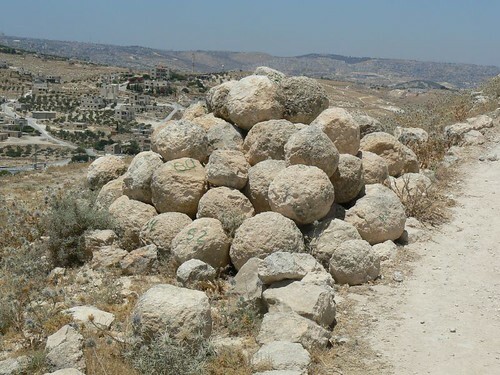 The site was abandoned until 132 A.D. , when it was once again occupied by Jewish rebels fighting in the Bar-Kochba revolt. 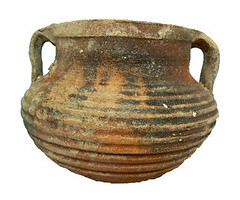 A surprised assault system from the Bar Kochba period was found . 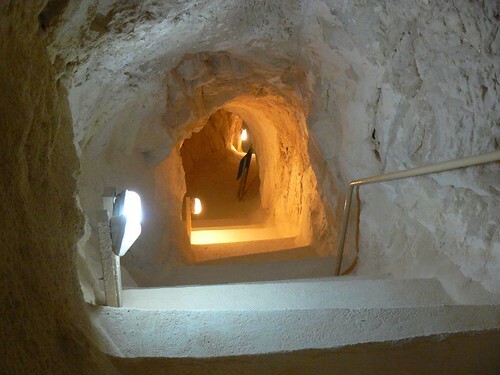 It includes water cisterns, tunnels and hidden apertures for sneak attacks. 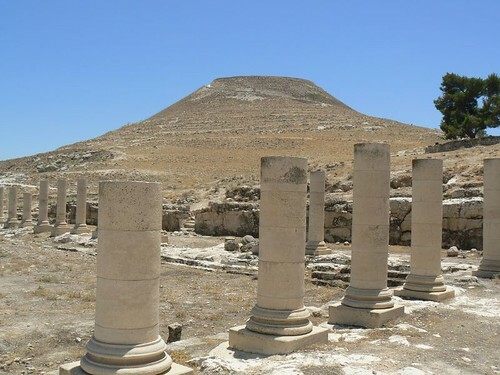 With the quelling of the rebellion in 135 A.D. , Herodion once again was abandoned, this time for several hundred years, until a large group of Byzantines took up residence among the ruins between the fifth and seventh centuries A.D. , and contributed four churches to the site.